I first saw Louie Giglio speak in person on the Indescribable Tour with Chris Tomlin. As you will likely guess, Chris was singing his song Indescribable and Louie … well, Louie was speaking about the magnitude of who God is. He used pictures from the Hubble Space Telescope to talk about how huge God is. When we consider that God spoke the heavens into existence (according to Isaiah) and then think about how massive they are, it’s pretty incredible the size of the God who still knows us each by name. One of the things that Louie said that really stuck with me was that the heavens are created to bring glory to God. That the starry hosts tell His story and declare it to us. In honor of Good Friday and Easter this Sunday, I thought I’d share a couple pics from Hubble that tell the story of Jesus Christ. 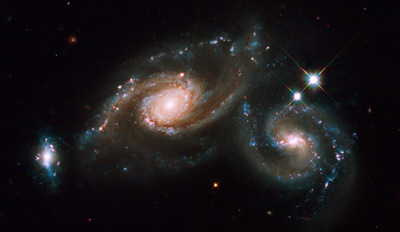 But first, a quick note about Hubble and where I found these and you can find other amazing pictures of God’s creation: According to the official website www.hubblesite.org Hubble Space Telescope’s launch in 1990 sped humanity to one of its greatest advances in that journey. Hubble is a telescope that orbits Earth. Its position above the atmosphere, which distorts and blocks the light that reaches our planet, gives it a view of the universe that typically far surpasses that of ground-based telescopes. It has beamed hundreds of thousands of images back to Earth, shedding light on many of the great mysteries of astronomy. 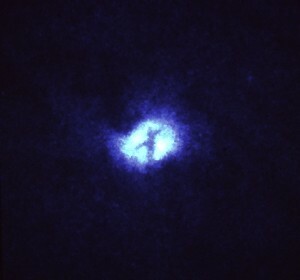 Officially this is called "X" Structure at Core of Whirlpool Galaxy (M51). Unofficially, I call this amazing! 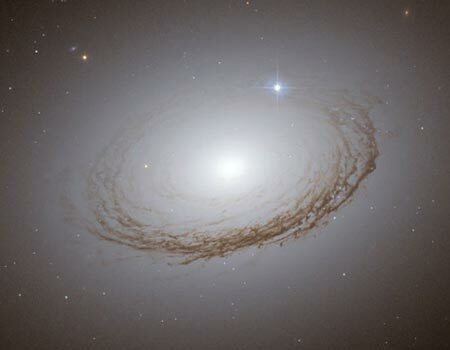 NASA, ESA and W. Harris (McMaster University, Ontario, Canada) FoxNews.com called this the Crown of Thorns Galaxy. Wow! That Christ suffered the crown of thorns and the cross so that we could have forgiveness and life amazes me. I hope it amazes you this Easter too. And because I love Louie too and he speaks truth, here’s a clip of the end of his Indescribable talk. It’s available on dvd along with several other great talks by him. Check out his cool Passion ministry here.